John William Dobson was a devout defender of the free markets on both sides of the North American border. 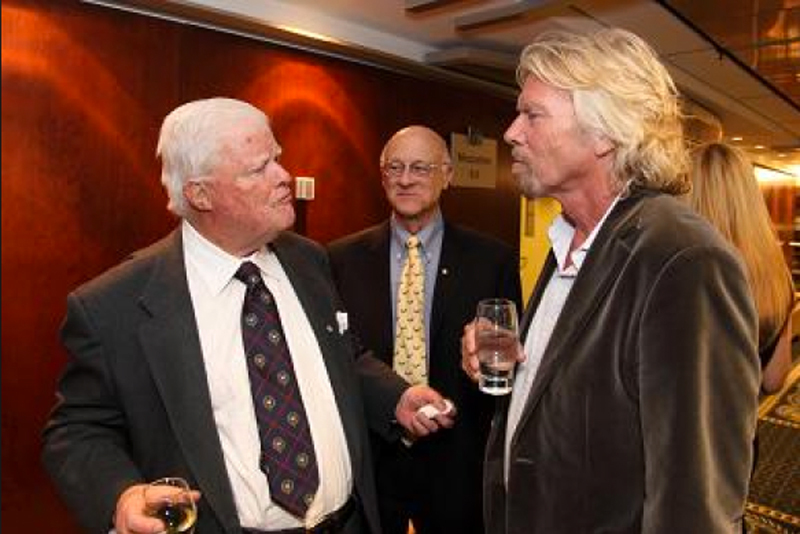 He rubbed shoulders with American Presidents, Canadian Prime Ministers, world famous entrepreneurs such as Richard Branson, and was dubbed ‘Canada’s Warren Buffett’. Mr. Dobson founded The Formula Growth Fund, one of Canada’s earliest mutual funds and one of the most successful and long-standing mutual funds in the world. Formula Growth, which he started in 1960, consistently beat the Dow Jones year-in and year-out and was responsible for making millionaires out of early investors. He was a major philanthropist to numerous universities, associations and agencies and gave nearly all of his spare time to helping others. However, despite Mr. Dobson’s vast entrepreneurial success and unwavering generosity, there is a good chance you have never heard of him – which is just the way he wanted it to be. Much of his philanthropic efforts were done anonymously. He was a man who operated on a higher level and wasn’t looking for attention. Mr. Dobson gave much of his life to promoting entrepreneurship because he believed it was the right thing for the country. Being a patriot was far more important to John than being praised. After Mr. Dobson passed away I had the fortunate opportunity to read some excerpts from his memoirs. One quote really stuck with me, and truly summed up who the man was. He wrote “it doesn’t matter who is right, but what is right” when referring to growing the economic prosperity of his country. It is a simple quote really, but so widely applicable. Often in our lives, whether it be running our businesses, having a political debate, or chatting about life, we try and project our views with (quite often) closed minds. Everyone is guilty of this, myself included of course. And we are missing the point of it all, which Mr. Dobson so perfectly summed up. Doing what is right is what matters. Don’t get caught up in leading your business with a ‘my way or the highway’ leadership approach. Listen to your staff, customers, and community. Make the right choice based on facts and don’t go looking for praise (or trying to convince others that you are right). In other words, keep your mind open and focus on growth. As Ronald Reagan articulated so perfectly “There is no limit to what a man can do or where he can go if he doesn’t mind who gets the credit”. Mr. Dobson was living proof of this quote.